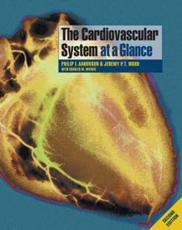 The Cardiovascular System at a Glance is a concise and accessible systems-based textbook. Updated throughout, the second edition uses an integrated approach to take the reader through the basic anatomy, physiology, histology, biochemistry, pathophysiology, and clinical aspects of the cardiovascular system. Following the classic double-page spread format of the At a Glance series, each double page presents clear, memorable diagrams that illustrate essential information with accompanying text that covers key topics in more detail. The text progresses from basic science to clinical application: a general introduction to the cardiovascular system is followed by anatomy and histology; blood and body fluids; biochemistry and excitation-contraction coupling; form and function; integration and regulation; and pathology and therapeutics. Four clinical case studies at the end of the book reinforce the integrated systems-based approach to this subject. Additionally, two new chapters covering Revascularisation as well as Emerging Concepts and Treatments have been included. The second edition of The Cardiovascular System at a Glance is an ideal resource for medical students, whilst students of other health professions and specialist cardiology nurses will also find it invaluable. Examination candidates who need an authoritative yet concise guide to the cardiovascular system will find it extremely useful. This book has been designed to fit into the budget and reading time of busy students, and is recommended as primary or supplementary reading for a lecture-based course, and/or as a book for revision prior to examinations.